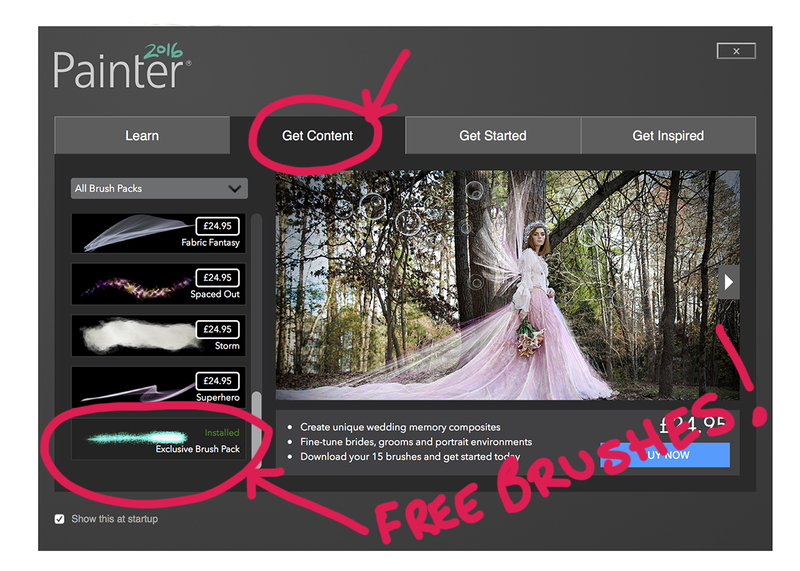 Just to let you Corel Painter 2016 users know that you can download some fab brushes completely FREE from the lovely people at Corel. Just open your Corel Painter 2016 and go to the Welcome screen (or if its already open you can also find it by going to Help > Welcome) . This entry was posted in Corel Painter 2016, Digital Painting, textures and tagged Corel. Bookmark the permalink.